After being bombarded by email requests for months, Freakonomics Radio has finally caved and made an episode about Bitcoin. It’s called “Why Everybody Who Doesn’t Hate Bitcoin Loves It.” (You can download/subscribe at iTunes, get the RSS feed, or listen via the media player above. You can also read the transcript, which includes credits for the music you’ll hear in the episode.) The gist: thinking of Bitcoin as just a digital currency is like thinking about the Internet as just e-mail. Its potential is much more exciting than that. 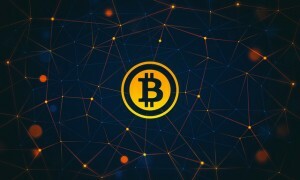 Bitcoin is often described as “virtual gold” — as well as everything from a “bubble” to a “Ponzi scheme” to “a haven for individuals to buy black market items.” But what excites some people, like Silicon Valley veteran Marc Andreessen, is Bitcoin’s potential as a new technology that could underlie any number of transactions, well beyond the simple swapping of currency. Andreessen, a Web pioneer, is now on the board of companies like Facebook and eBay. He is not a disinterested observer in the Bitcoin debate: his venture-capital firm Andreessen Horowitz has invested around $50 million in two Bitcoin-related companies, including Coinbase, and Andreessen says they plan to invest much more to enable Bitcoin to go mainstream. ANDREESSEN: One of the things … that’s been missing on the Internet for 20 years is kind of a native concept of money…The ability to very easily pay somebody online, the ability to very easily charge for a piece of content, the ability to very easily exchange a digital title, or a digital key, or a digital contract has just been missing because you have no mechanism for establishing trust. And so Bitcoin basically holds the promise of being the first solution to establishing trust over an untrusted network. ATHEY: The beauty of a new currency, which is part of a virtual currency protocol, is that what I’m moving from me to you is just an entry on a secure, public ledger. And that public ledger is maintained by a set of computers all talking to each other using a protocol. So I don’t have to worry about some bank giving me an IOU and then giving that IOU and handing it to another bank. Instead, if I make a transaction over the virtual currency, it’s just an entry in the ledger. So I don’t need a middleman. LAWSKY: It’s very hard to transport $1 million in hard currency overseas. You can’t just put it in a backpack and get it on a plane very easily. But it is very easy to do that now digitally using Bitcoin. LAWSKY: Right now, there are thousands and thousands of New Yorkers who work hard every day to send money back home to their families in whatever country they’re from…And right now they’re paying fees for those wire transactions each week at the end of the week, 7, 8, 9 percent. And that’s a lot of money for people who often can’t afford it. ANDREESSEN: It’s a little bit like dogs watching TV. It’s like, it’s all very interesting, but like whatever until another dog shows up on screen and then the dog freaks out. Economists, like this stuff is all like, whatever, technology, geek, nerds whatever and then “currency” is the flag. And so the minute the word “currency” shows up, all the economists perk up because if there’s one thing economists are all experts on it’s currency… And they look at it and they say, “Oh my god, people are paying $600 for this thing, it’s just a piece of fake digital currency, people have just lost their minds.” I don’t think that they are looking at the underlying substance. The episode also addresses a question many of you asked when Freakonomics Radio ran a fund-raising campaign: why don’t you guys accept Bitcoin? I think this company solves all your problems if you want to receive donations in Bitcoin https://bitpay.com/ they isolate you from volatility, however you should consider keeping some in Bitcoin in case they go up in value, try keeping 10% in bitcoin and see how you did at the end of a year. If the point is that it is cheaper without middle-men, then a solution to making it easy to accept bit coins is to have a middle-man seems pretty absurd, no? The Hobby Lobby case going before the Supreme Court highlights our flat currency. We can use our paychecks for whatever we want and it's only constrained by our geography and perhaps a few other negligible variables. The other part of our payment that is not fungible is employee benefits which is programmed to be used for healthcare. Since it could be used for contraceptives, Hobby Lobby is arguing that infringes on its religious freedoms. A cryptocurrency payment could be programmed to ensure that employees of a particular company do not purchase goods or services that violate an employers' standards. The decision that the Supreme Court arrives at will apply to all of us. Why can't a cryptocurrency obviate the need for one-size-fits-all laws and create rules for individual companies at a more granular level? "A cryptocurrency payment could be programmed to ensure that employees of a particular company do not purchase goods or services that violate an employers’ standards." If I work at Hobby Lobby and they pay me in bitcoins that can't be used to buy contraceptives, what stops me from cashing out my bit coins and then buying whatever I'd like with cash? Someone ran the data transfer numbers of public ledger cryptocurrencies like Bitcoin and quickly determined that a single system can only support about 100,000 users before the data transfer loads became impractical. If that stands it will be impossible for every person to participate in the Bitcoin system and normal users will have to rely on trusted third parties to do the verification process and charge a fee for the service. At that point we have just come full circle back to banks. The bitcoin network can only handle a maximum of 5000 transactions in every block. A block get mined around once every 10 minutes. That is roughly 7 transactions per second. For a real world example, visa processes around 4000 tps. Now, the bitcoin fanatics will tell you "oh we can just increase the number of transactions per block, it's an artificial limit!" There are bigger issues with this. Every single transaction is between 200 and 500 bytes. Lets plug in visa's numbers to see just how large this will get. 200 (minimum size transaction) * 2400000 (visa transactions in 10 minutes) = 480,000,000. That's 480 megabytes that every single bitcoin user needs to download every 10 minutes just to use the currency. Minimum! Only for visa! Remember that bitcoin is just a distributed ledger. So every single user also has to store that 480MB every 10 minutes. That 2.8GB an hour, 69GB a day. There is no reasonable solution to this that doesn't involve using some sort of third party. Who you would have to trust. At that point...what's the point of the whole thing anyway? "LAWSKY: It’s very hard to transport $1 million in hard currency overseas. You can’t just put it in a backpack and get it on a plane very easily. But it is very easy to do that now digitally using Bitcoin." I'm still a little confused, maybe because I didn't pay much attention on my economy class, but I still don't understand how this digital transfer of currency works. Say, if I for example where going to transfer $1,000 in cash to China, and would choose to do it digitally. Then I go and buy $1,000 worth of bitcoins, that is, I give my hard cash to that intermediary that would transform that value into bitcoin (probably here is my confusion), send it digitally to china, and someone in china would withdraw $1,000 in cash though the intermediary (or however its possible)... My question is, what happened to the physical cash I left with the intermediary, or bank or whatever company that converted that value into bitcoin? Isn't it still there when the other person in china withdraws it in cash in the other end of the transfer? Isn't it like duplicating money but in two different parts of the planet? or the inermediary on my side just shreds the physical cash, and in China the just print new money? Please help on my lack of economic knowledge... :) Thanks!! The important point here is that most money isn't actual physical cash, it's entries in various accounting systems. What happens when you pay a bill on-line? A number gets subtracted from your account in your bank's accounting system, and added to the bank account of the company you pay. In principle it's the same for doing a transfer to someone in China: the problem is ! @#$ US government bureaucrats who've mandated incompatible systems. in Europe (where I have first-hand experience) it's trivial to move money between banks in different countries. Indeed, until a couple of years ago, I had no problems using my European bank's ATM card to withdraw cash in the US, or vice versa. The Paul Krugman quote you used on your show was taken of context (as professor Krugman has explained many times whenever someone brings it up). He is very outspoken again Bitcoin and a very established economist with views that run counter to many of those in the field of macroeconomics. I think it would be great to invite him on your podcast sometime. I'm sure he and Levitt would have a lot to agree/disagree about. Paul Krugman has too much self-confidence, which makes me talk BS all the time without understanding how stuffs work. Any quote is always taken outside of context : but the fact is he did say that and he was - as always - so sure about his opinion. He's making the same again with bitcoins, even though nobody really knows if bitcoin is going to vanish or become the next monetary revolution. He should copy the humility of Dubner or Levitt, who rarely engage in this "folly of prediction". And by the way, if Krugman isn't invited very much in Freakonomics, it's probably because his field of studies is not covered by the podcast, if only because the show is more oriented towards microeconomics rather than macro. The reason Politicians don't like (aka "are concerned") about bitcoin is because it makes it harder for them to tax away everyones income. That, plus the internet being basically its own self-governing entity is exposing how corrupt, inflexible, and outdated the majority of modern governments are. thanks guys for covering this, please do another show covering cryptocurrency, there is a lot going on that you guys could analyze. Wait a MInute!!! Its NOT hard to transport drug proceeds offshore. Too Big To Fail Banks have been doing it for years!! WHo is Lawsky trying to spread that propaganda too?? why do you think drug dealers are so wealthy? ?They Are Able to transfer the millions they earn off their capital that they have sent to the U.S. w no problems so far. I've been listening to Freakonomics radio for a while now, and I love it. Sometimes the musical breaks in between segments, or at the end of the podcast are really cool. Does anybody know where I can find out the names of the pieces sampled in the shows? Who carries a backpack with money between borders? If its not something illegal going on. I dont get how Bitcoin will help here? Hey, I'm curious to know who was playing the guitar riff at the end of the podcast? It's real catchy. Great show btw! Learned a lot.